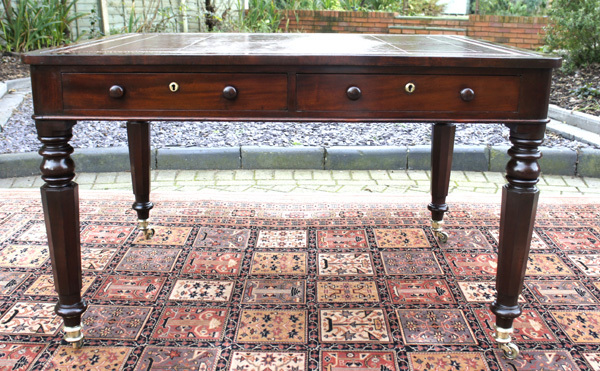 This antique William 1V partners library or desk is constructed from well figured mahogany timbers. 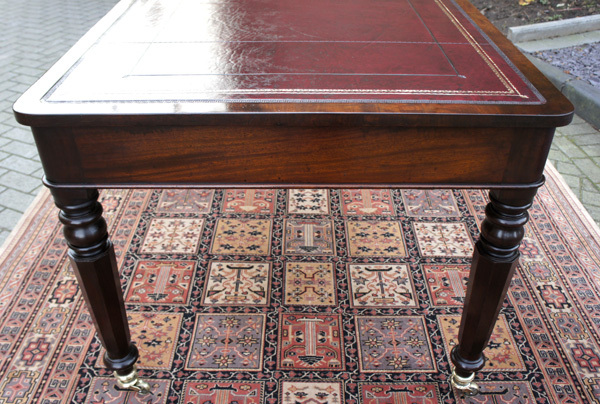 It has recently benefitted from professional cleaning and polished and has a beautiful deep rich mahogany patina. 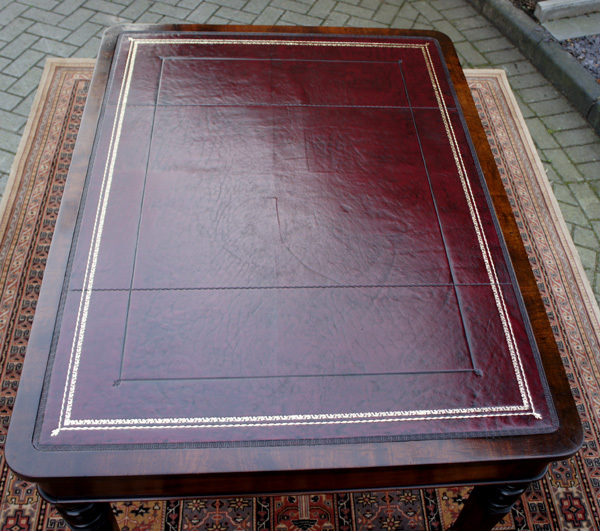 It has a burgundy leather writing surface with gilt and blind tooling which is surrounded by a cross band of figured mahogany and has rounded corners. 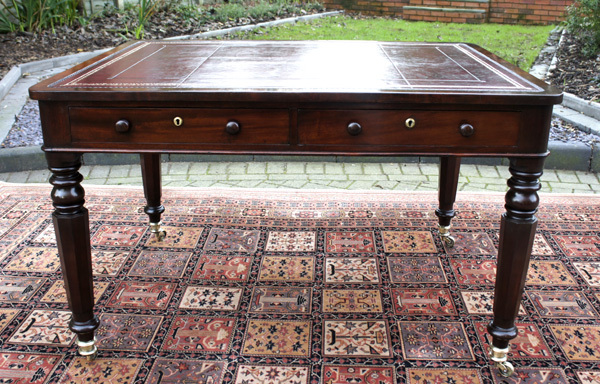 and has a beautiful deep rich mahogany patina. 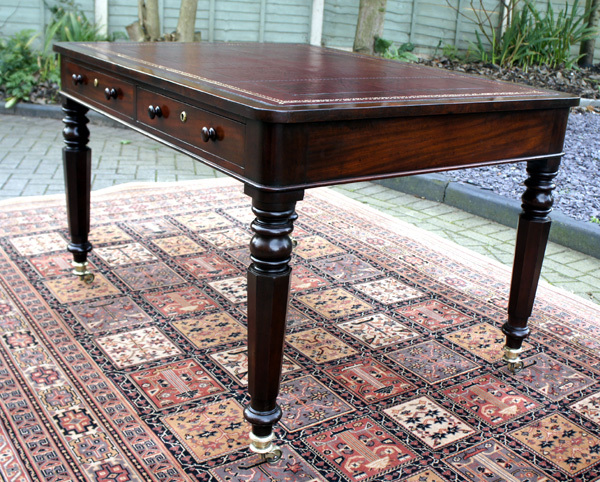 which is surrounded by a cross band of figured mahogany and has rounded corners. and brass locks and key and original turned mahogany knobs. 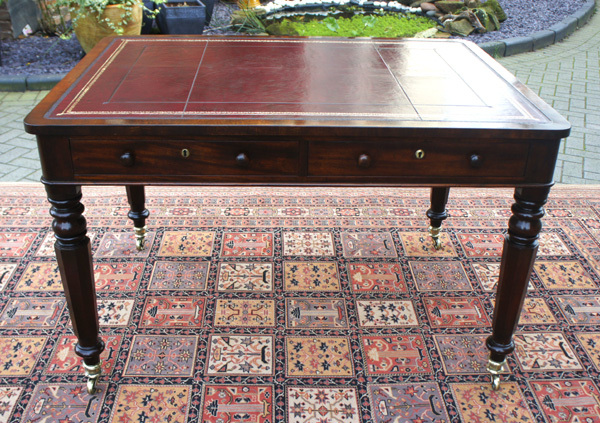 The table stands on four turned and tapering octagonal legs terminating in the original brass cup castors. and would be a handsome addition to any office, library or study.